Disconnect throttle cable: done by twisting throttle linkage by hand and removing cable end from the hole, pull out cable body from the top after removing clip (very stiff, had to be banged gently by putting a screwdriver head in the slot and tapping the screwdriver with a hammer to get it to pop out). 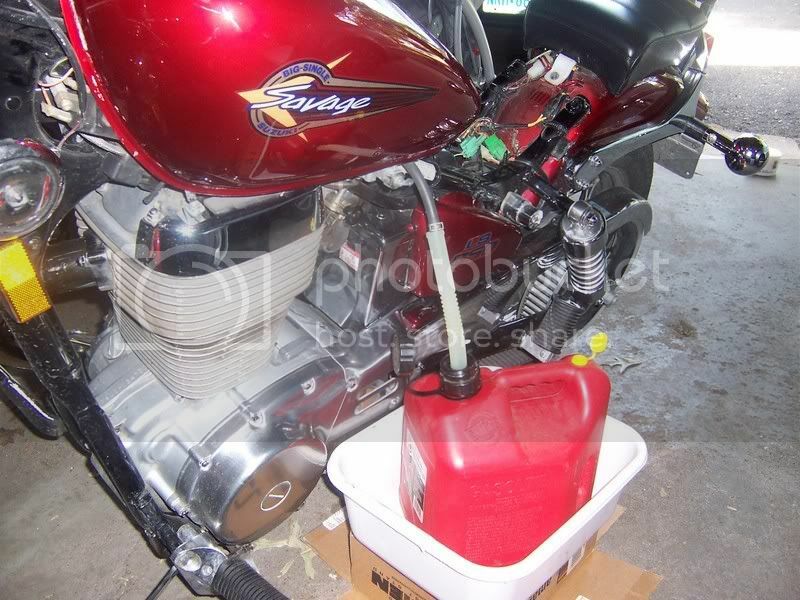 Drain tank by pulling the gas feed tube first and very quickly put it where you want the gas to go. Gas can be held in the tube with the tip of your finger though. Disconnect all the other tubes, one black on left side and one black on right side. Air vent tube from the petcock refuses to come loose on the right side of mine though… so I proceeded to step 5 anyway. 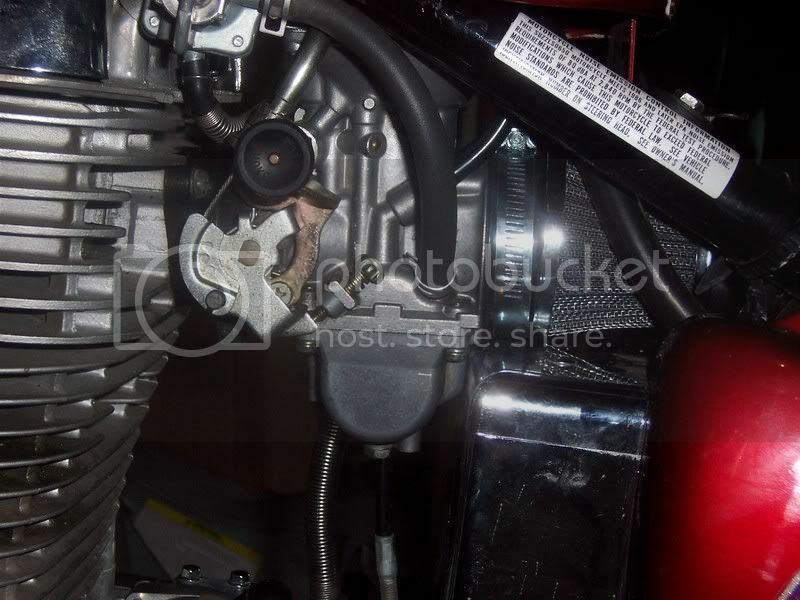 Pull air tube out (very tight squeeze, have to squash the rubber tube to get it out, but you need to get the extra room to pull the carb out. Some cleaning solution and screwdriver between the rubber and the carb did the work though and it came off without having the cut the tube end off. 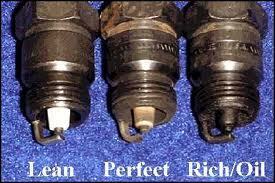 Clean off all parts of the carb that you can touch with carb cleaner and paper towels. Then turn the carb upside down. 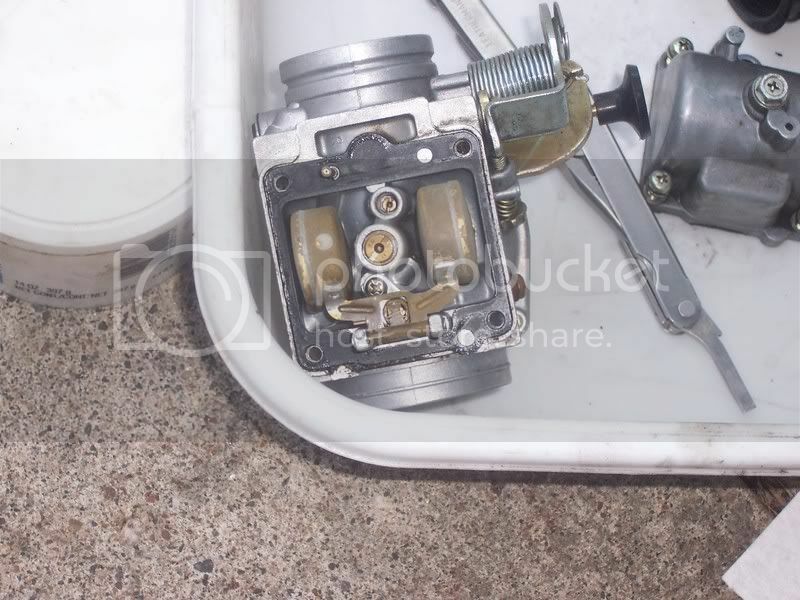 Remove the four screws that hold the bowl in place and place the bowl in a safe place to the side. Put the cone filter into the hole for the air filter BEFORE replacing the carb onto the engine. You don’t have much room when the carb is on the engine to put the cone in the space behind it. 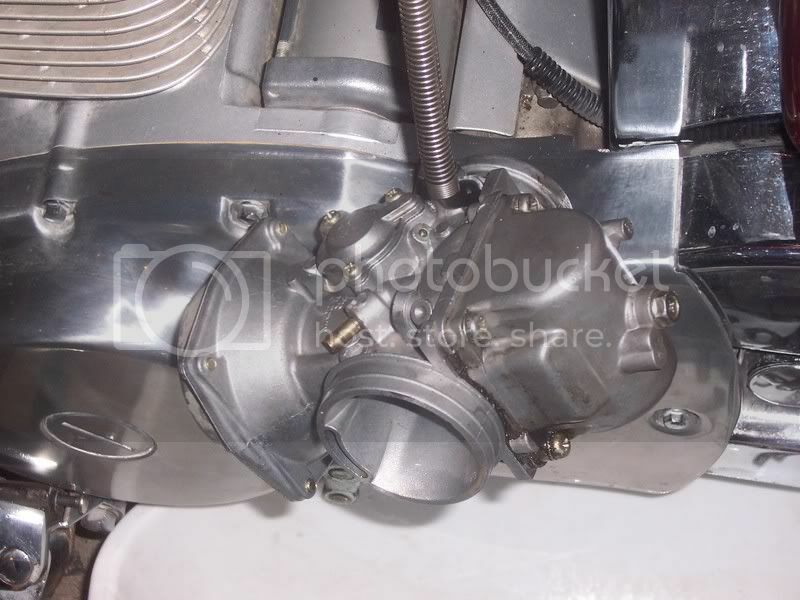 It is much easier to put the cone into it’s area and then squeeze the carb back onto the engine. 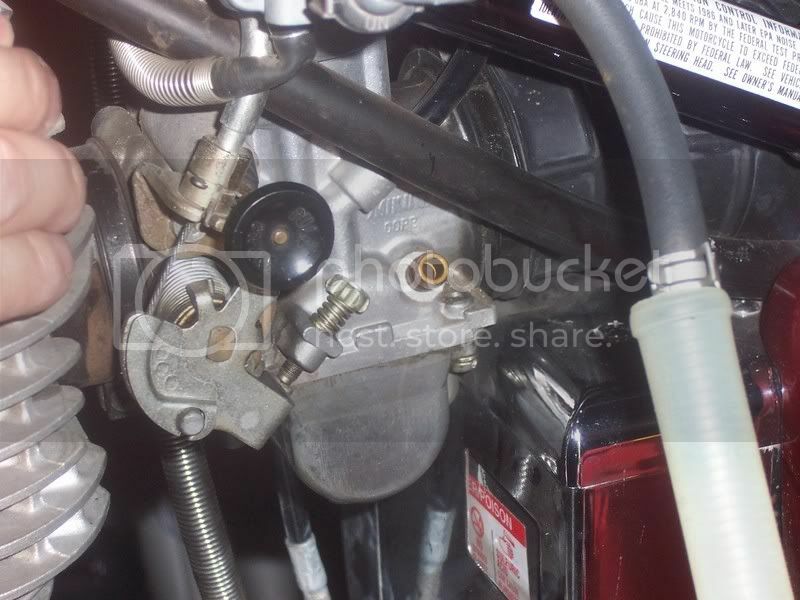 Replace all the tubes and reconnect the throttle cable in the reverse order that you took them off, refill the tank with gas and start her up! p.s., you might need to readjust the idle screw for your new configuration. Additionally, I noticed that I didn’t need to use the choke at all to start it up from a dead cold. No choke needed? If you needed the choke before the change, then you should check for a "too rich" condition now. It didn't need much choke before plus it was a really hot air temp here today when I was done doing the job, 96+. Without being able to drive it yet (still no gear shift rod yet), any idea how I should check to see if its too rich? I'm open to suggestions, thanks. 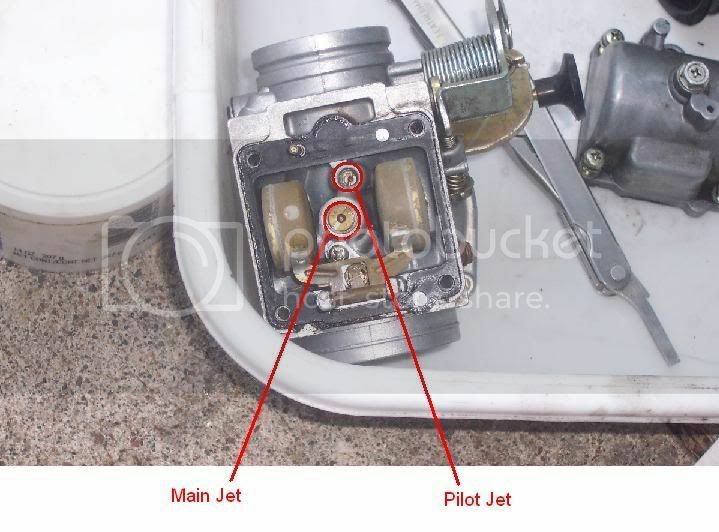 good pictures - I see you've pulled the brass plug over the mixture screw already - so you replaced the pilot jet because you were over 2 turns out and close to 3 on the mixture? man you should have thrown those phillps head carb screws in the trash - have you work over the white spacer? I was way out on the mixture screw before the job today (Jardine slip on), turned screw back to somewhere between 1 1/2 and 2 now after the fact. Idle sounds real good and I ran it that way until well past warm without a skip, but I can't test it on the street yet for power. The phillips head screws have to go, I agree, but I didn't have replacements on hand, the ones still in there aren't stripped yet, as you can see from the pictures, I was real gentle with that in mind. I didn't touch the spacer yet, afraid of making it too rich, like Lancer mentioned I might do, but I'll do the spacer if needed later. It did pop a little when I turned it off, to my chagrin, but again, more testing is needed. I tried to put the cone filter on my bike last night, but I ran into a problem getting the carb to stay on the motor. It doesn't seem to go in far enough and the clamp won't hold it on. The air filter hose seemed to hold it in place snugly before, but now it just wants to pretty much fall off. 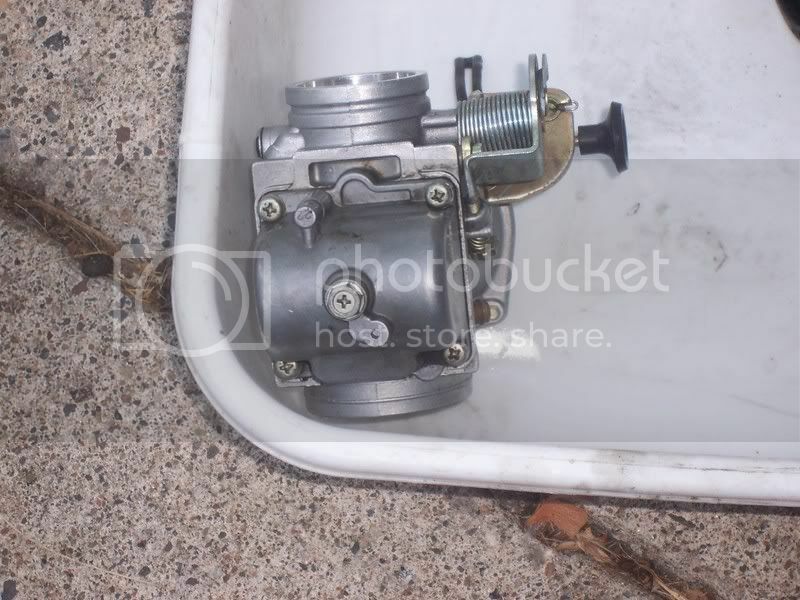 This is the 3rd time I've pulled the carb and it's always been a nightmare to get it in and out. Mine's a 95, is this normal? I'm I not lining something up between the carb and motor? I can't use the cone because the carb won't stay on. I think you just need to push it in further. 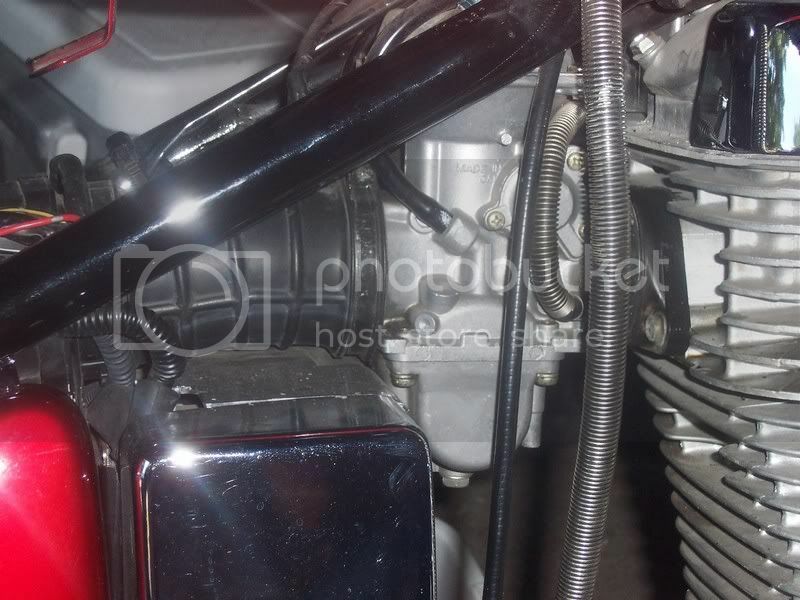 Check the carb, does it have a recess around the outlet of the carb? And does the rubber boot have a ridge on the inside? Those two should interlock when assembled. I'm in the middle of doing this mod now. got my cone filter off ebay for $10 shipped. it is some oddball chinese thing. 60mm diameter (even though stock carb is 57) (it is about 75mm long, 74mm at its widest, and 51mm at the small end), "Moxi racing project" cone filter. 1) what did you do with the electronics that were mounted on the left side of the air box? 2) what am i supposed to do with the air hose that comes out of the top of the engine. it used to flow into the airbox, now it just kind of... hangs around. 1 - Electronics - Many people here just find another place to tuck them in, personally mine are just sitting loose under the driver's seat. What size diameter cone filter would you get if doing this mod, 60mm? Is it necessary to have a crankcase breather filter with this? 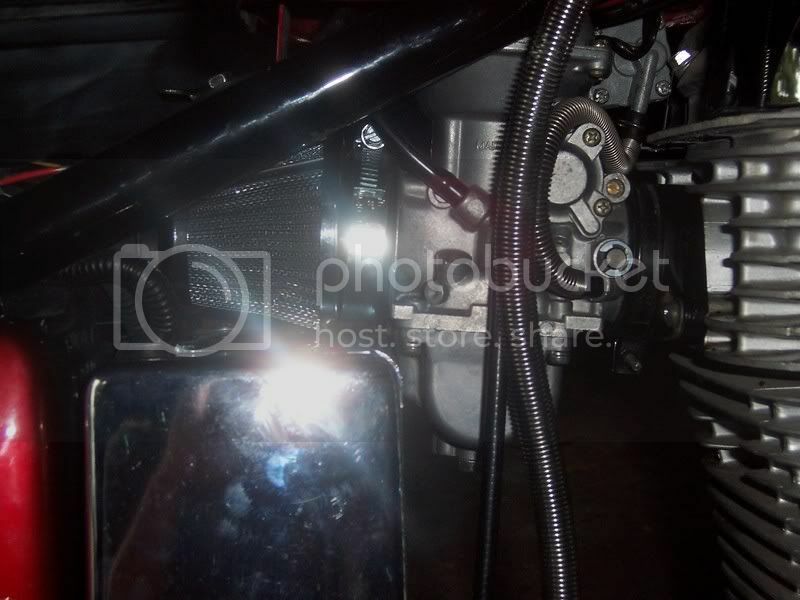 If the filter obstructs the passageways of the intake, your bike ain't gonna run right.